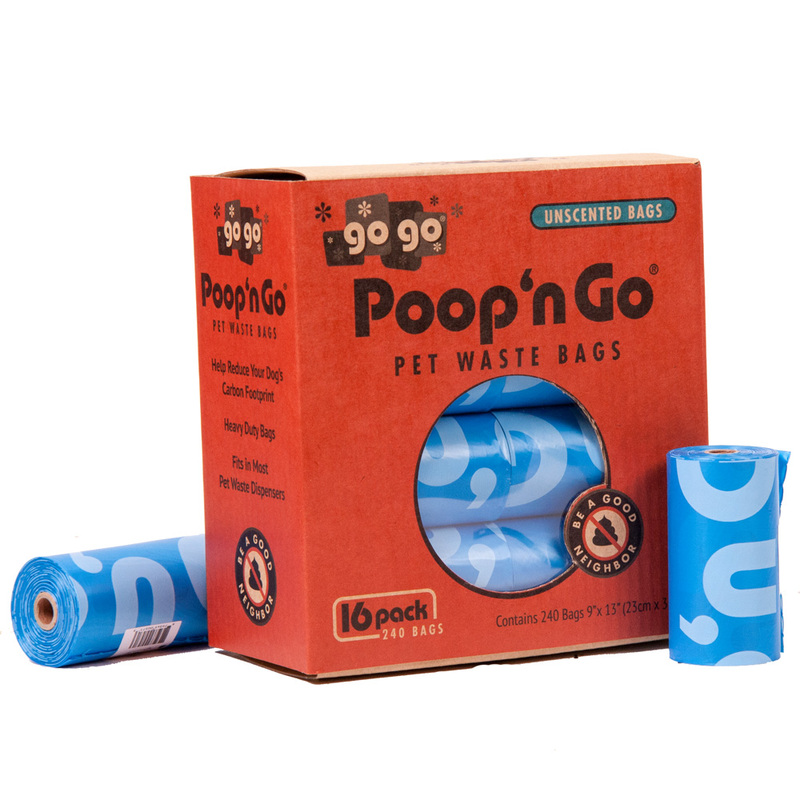 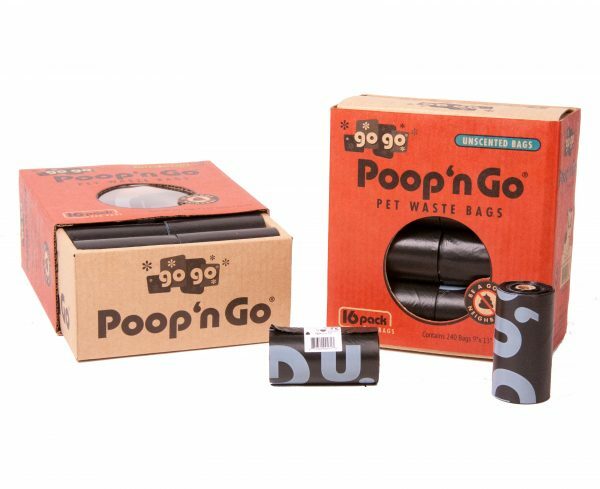 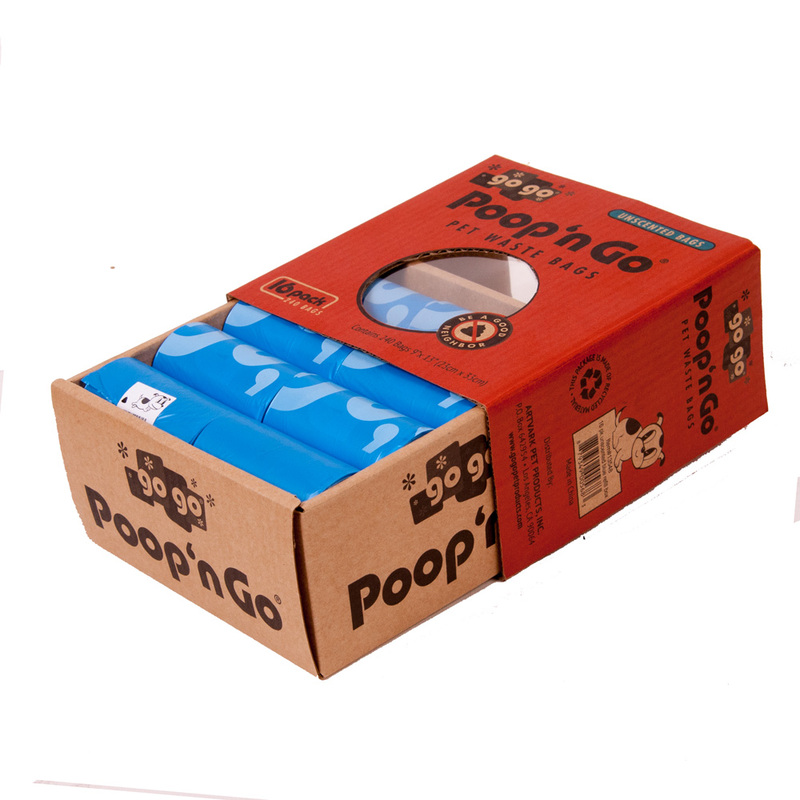 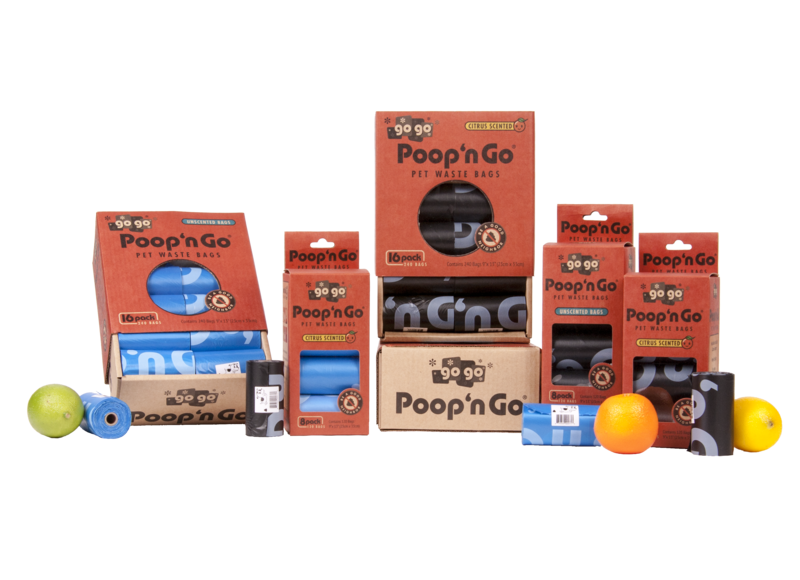 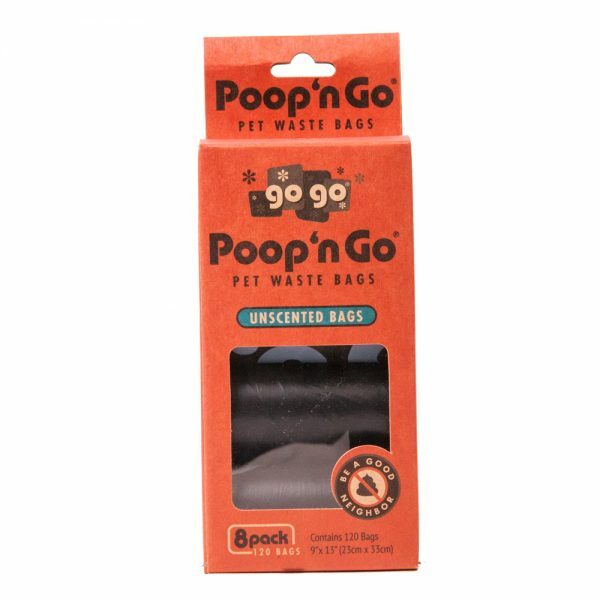 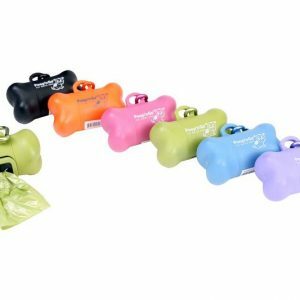 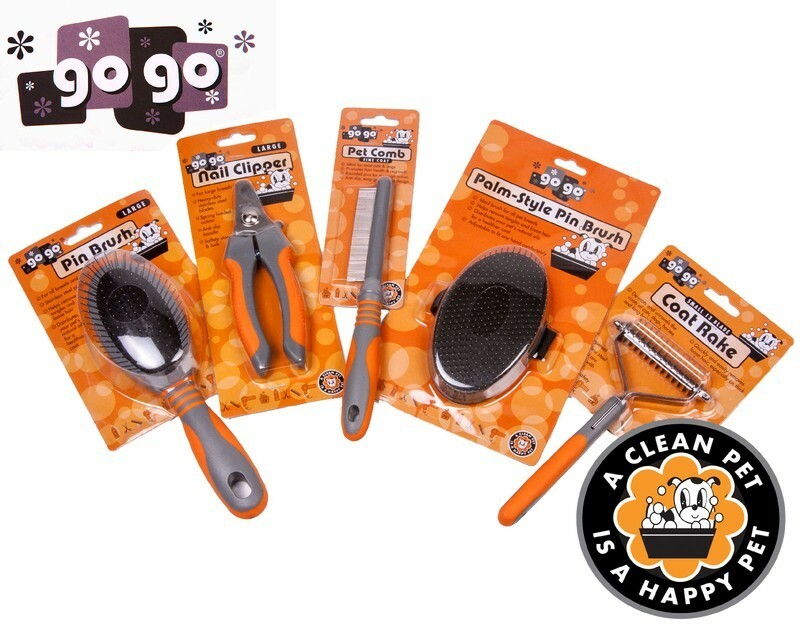 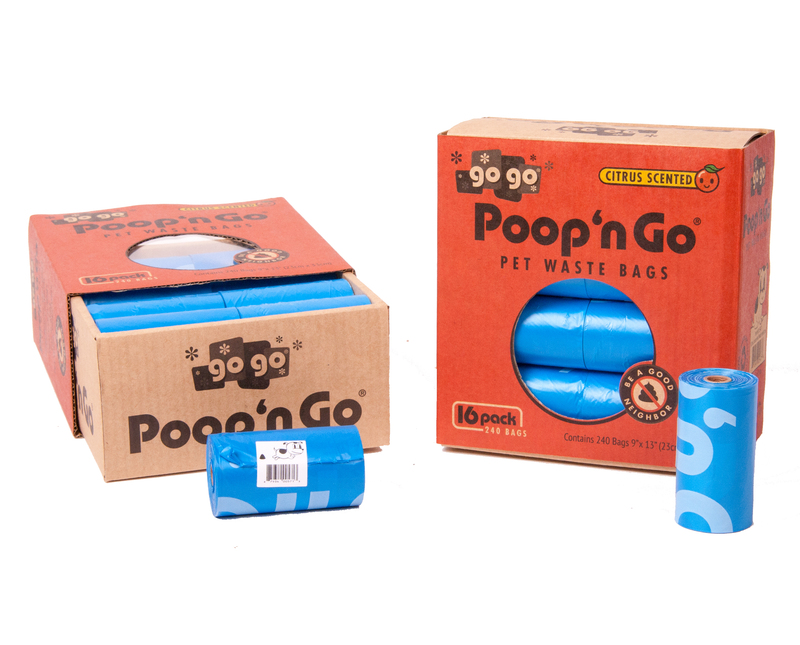 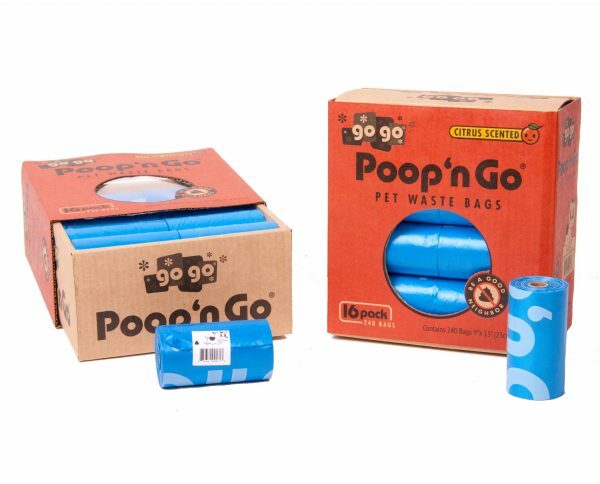 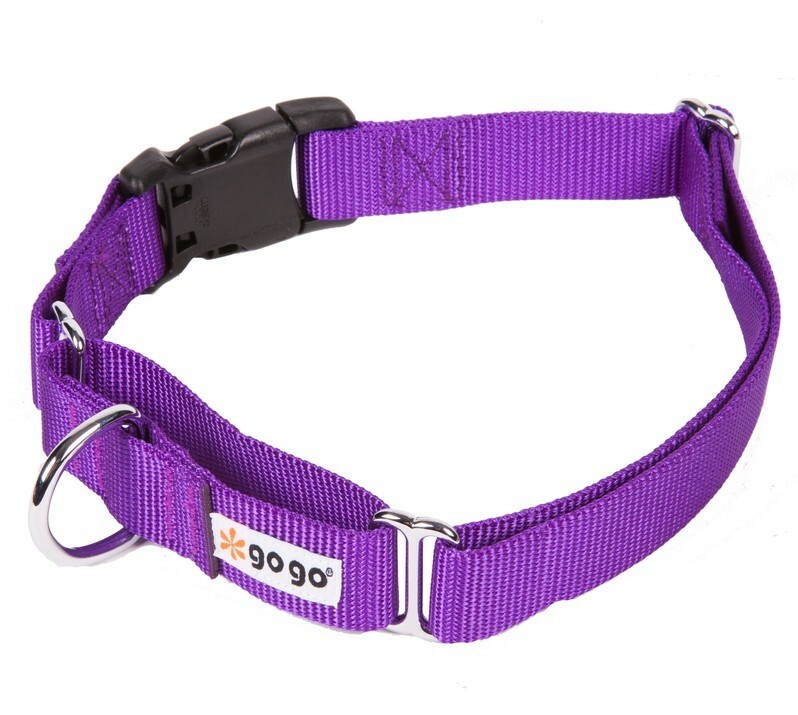 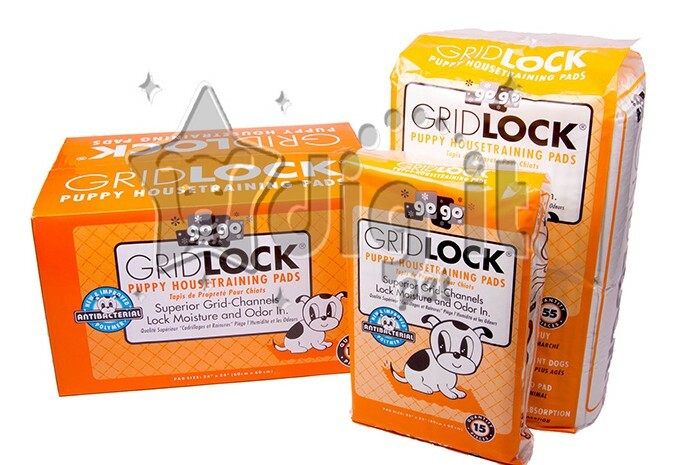 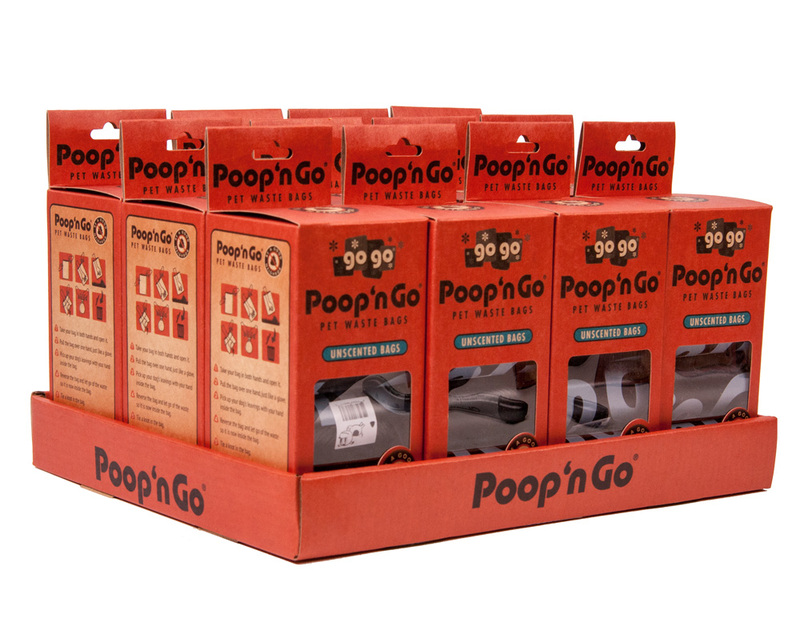 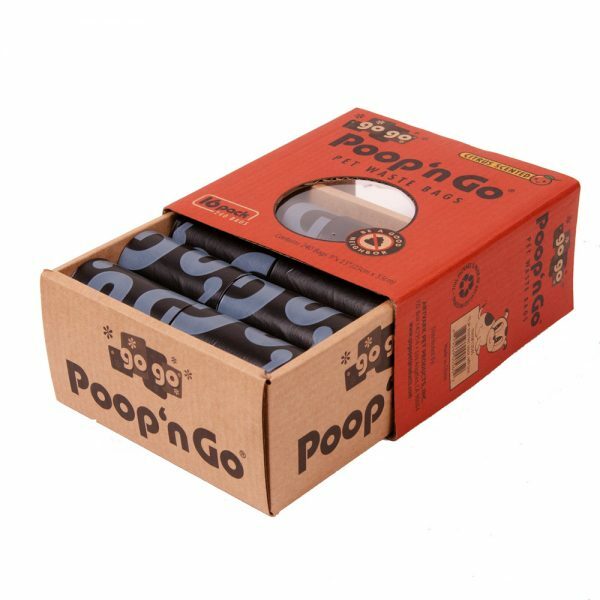 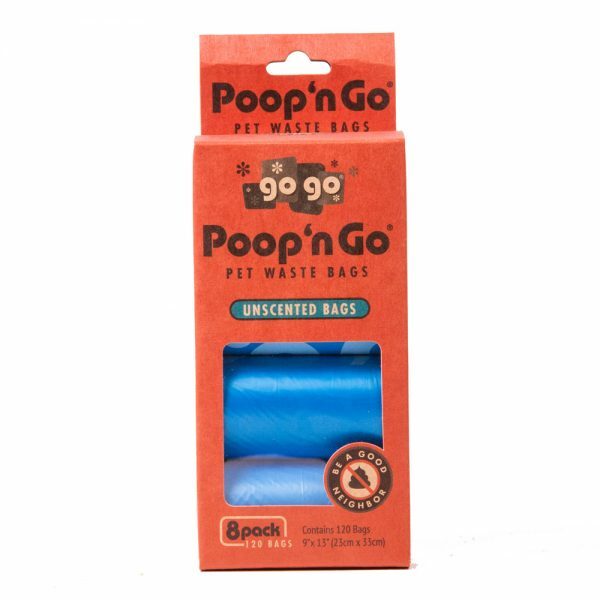 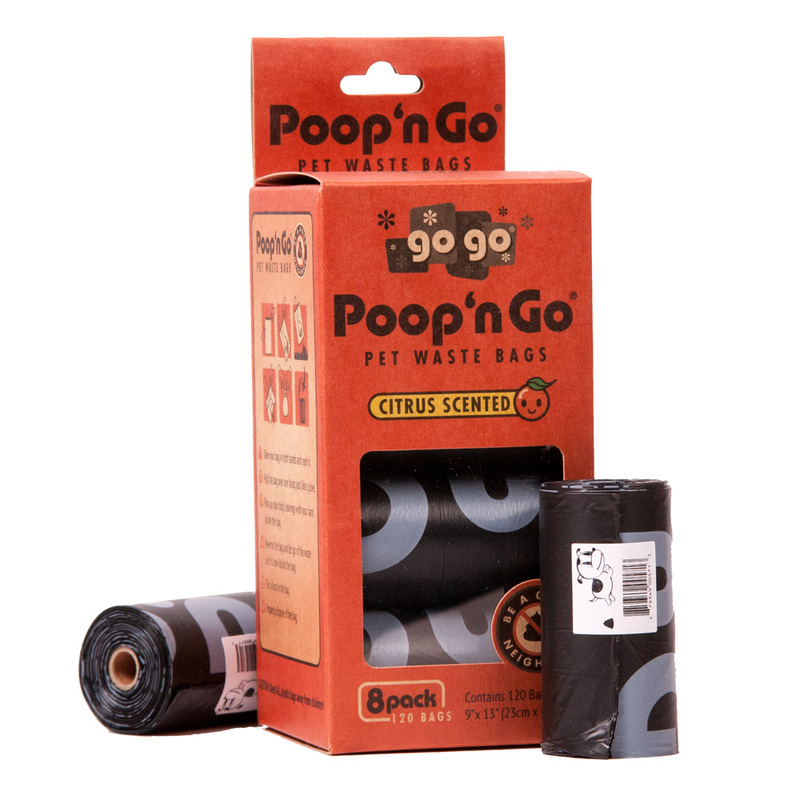 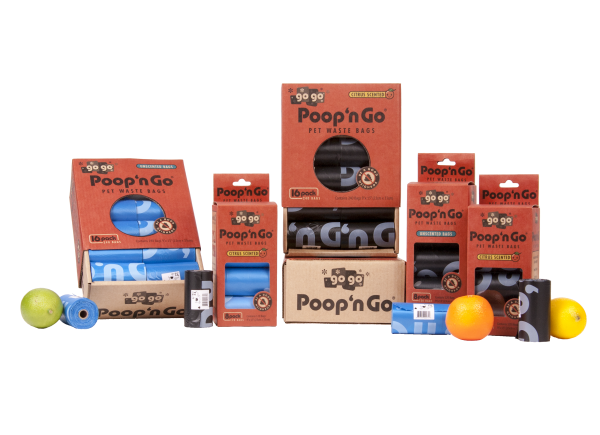 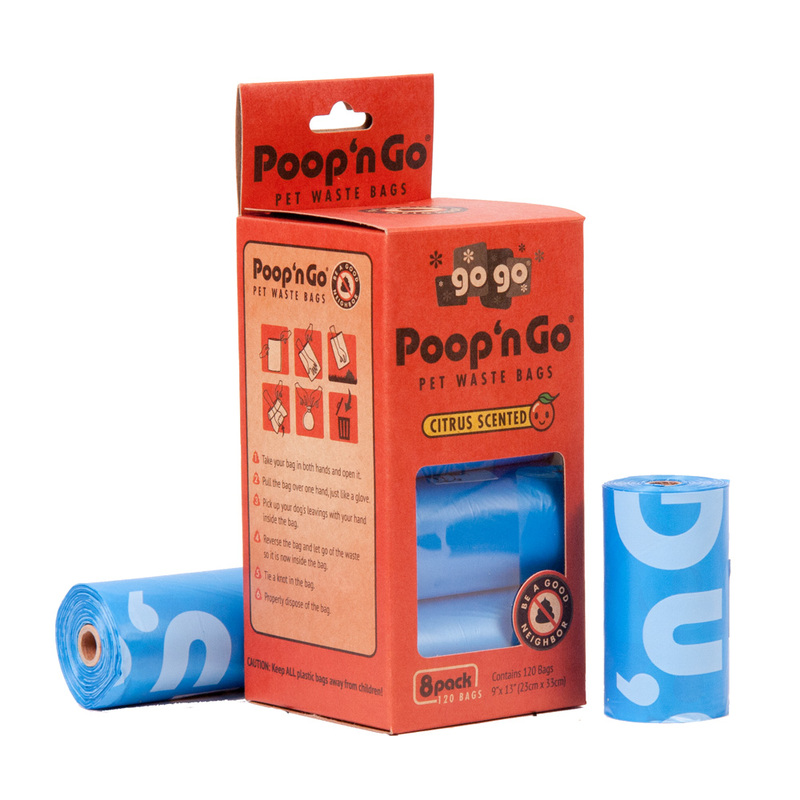 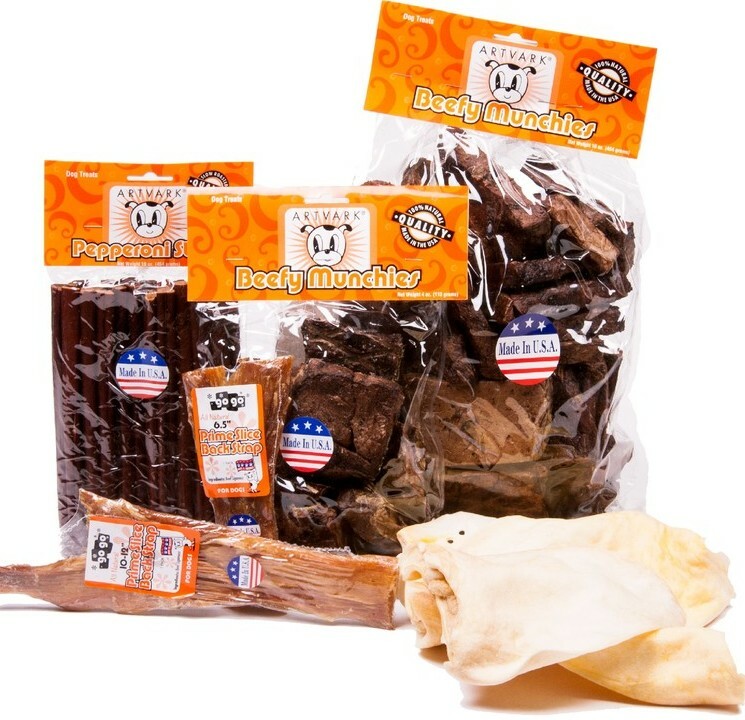 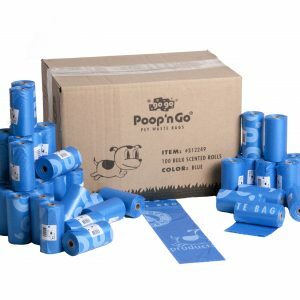 The new line of GoGo poop ‘n go pet waste bags is nature-friendly and “sustainable to the core. 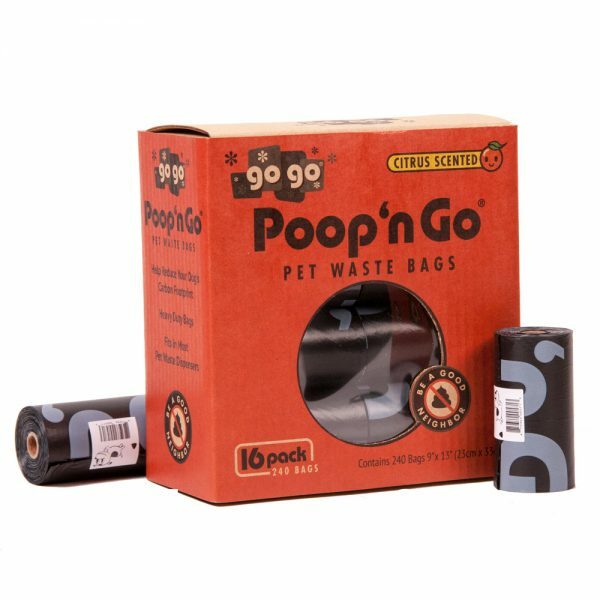 Including packaging and core, the bags have a refreshing citrus scent. 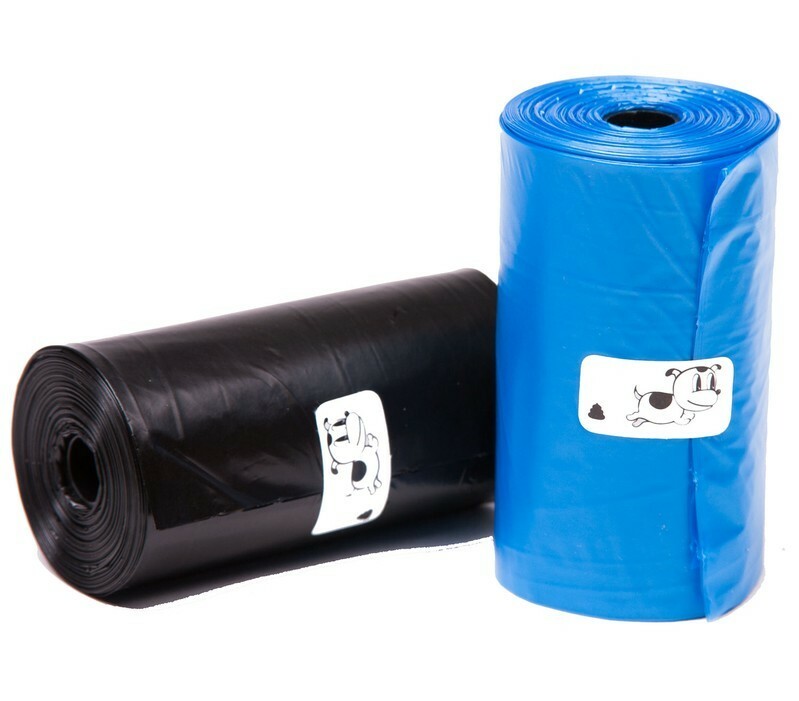 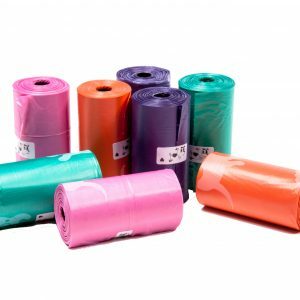 Each sky blue bag is 9″ x 13”, strong, durable, leak-proof and is perforated for easy separating. 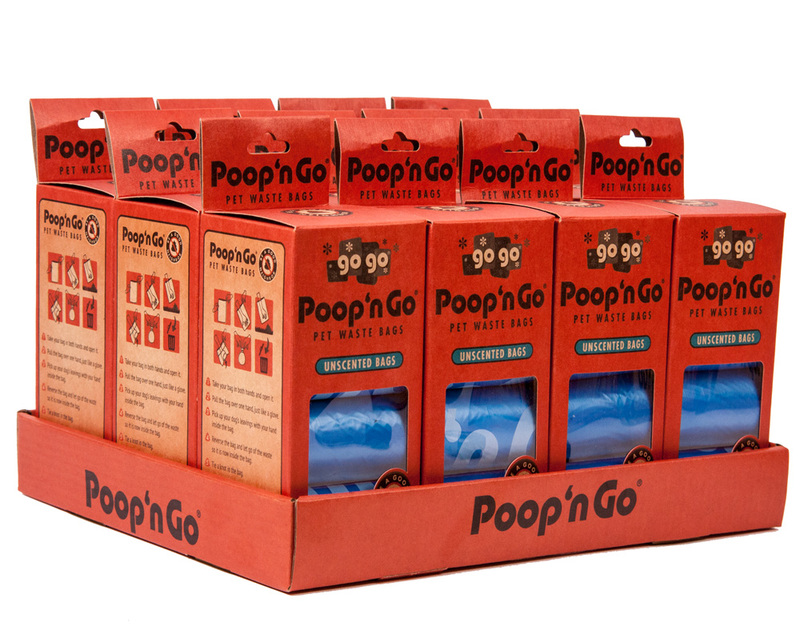 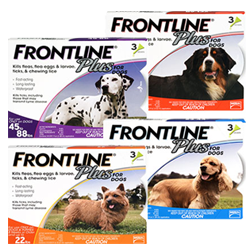 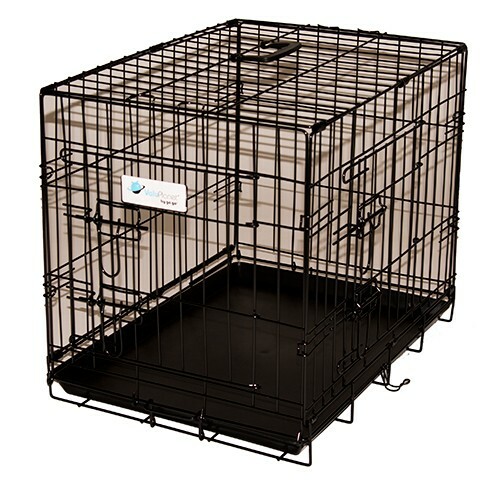 Choose from our 8 pack or 16 pack easy-to-store box.